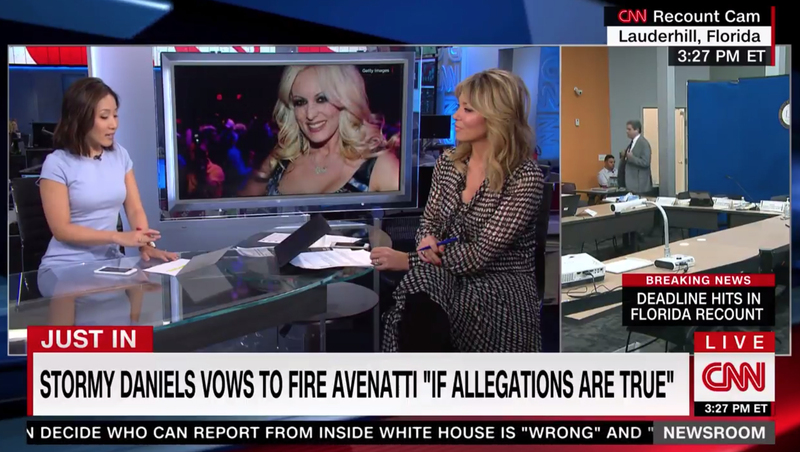 Throughout the much of the afternoon Thursday, Nov. 15, 2018, the network used a two-thirds split screen, with main coverage on the larger, left hand pane and various live feeds from Florida on the right. Most of these feeds were rather unexciting — some rooms that appeared to be conference rooms or processing facilities and a mic tree waiting for a press conference. 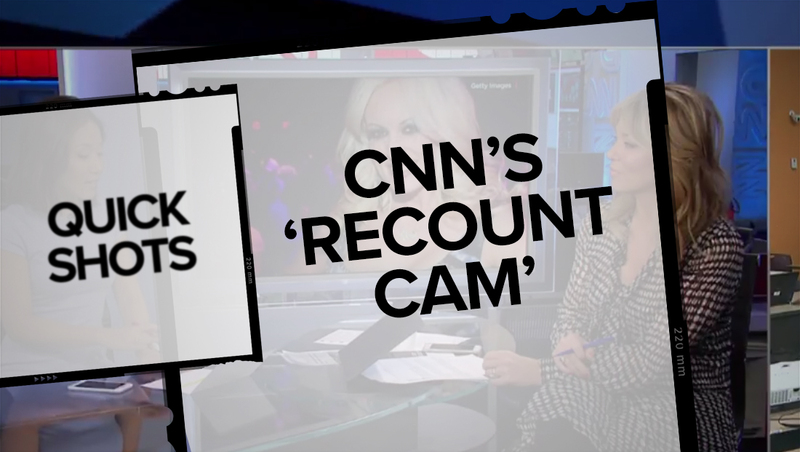 The network also added a box above its bug remind viewers of the ‘breaking news’ — ‘Deadline hits in Florida recount.’ The network’s website also promoted the same split-screen feed via CNN Go.